Thankfulness and Gratitude should be deeply felt and expressed all year, not just reserved for November. And more and more people are practicing their attitude of gratitude on a daily basis. Don’t you love it? 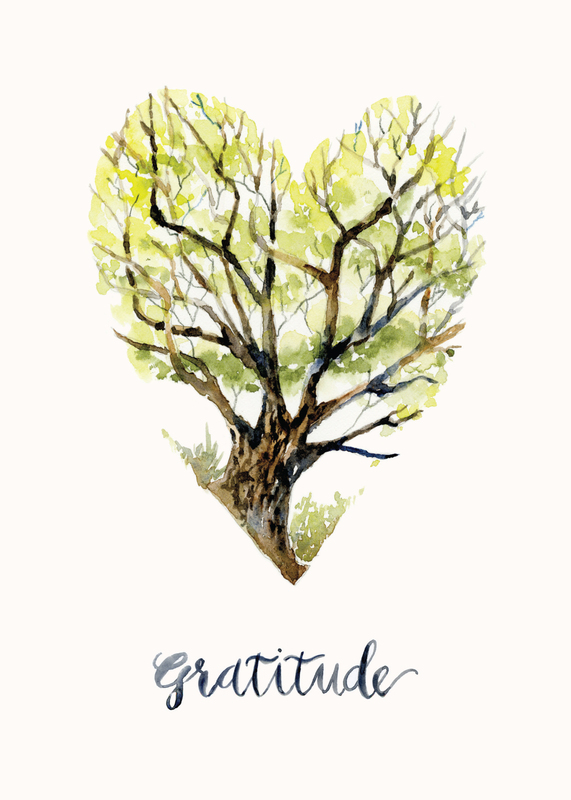 On that note, I’m previewing my new gratitude greeting card that’s being printed as I type! My sister-in-law reached out and asked me to create a card she could send to people she’s grateful for in her life. All she asked was for the word “gratitude” and an image of the heart to be on the front. I proposed the idea of a healthy tree bursting with Spring leaves and rooted strongly in the earth, a metaphor for gratitude. It grows. It blooms. It’s beautiful. So EXCITED to show it to you here. Thank you for asking, Elizabeth! As I look back on 2017, my heart is full of thankfulness. 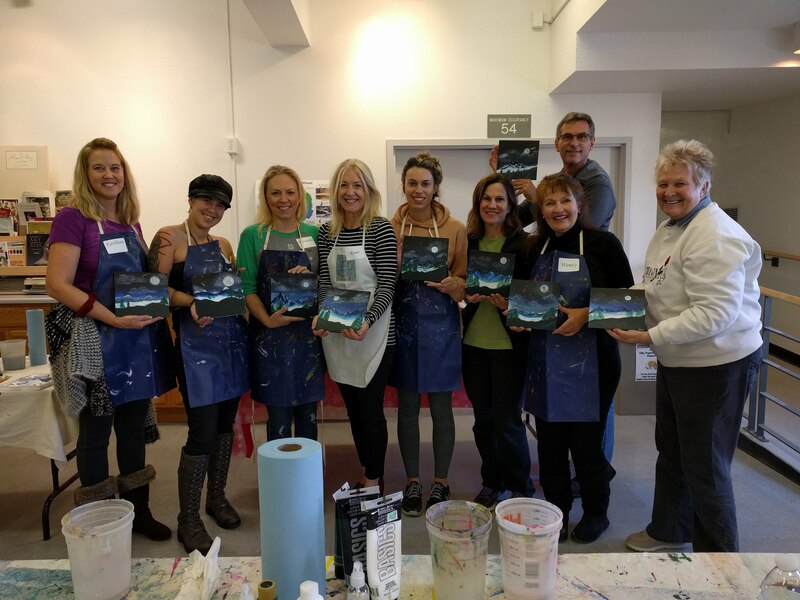 I’ve had the pleasure to teach painting and calligraphy classes at Curtis Arts & Humanities and Dwell Antiques&Home. I didn’t realize how much fun it would be to share creative energies and ideas with each other. After all, making art can be a solitary world unless we come together. Thank you for taking my classes! (and keep coming because it’s so good for our souls-yours and mine). Art makes people happy ~ see those smiles? And my little Etsy shop continues to connect the art I make with people around the world. Thank you for browsing there and believing in small business! And thank you to my nearest and dearest who have no limits to their encouragement for me and Hopscotch Art.